1. How to join event? 3. How to check my own detail? Click into Home page head icon at upper left corner, it can access own details. 4. Is the lead role’s name changeable? Yes, can change name, but available for first 7 days only. 5. What is 7 days event? Once the player has achieved daily event target, big rewards will be granted. 6. How to find announcement in game? Click into Home page head icon at upper left corner, you can find “check announcement “in your own details page. 7. How to collect Gift code? 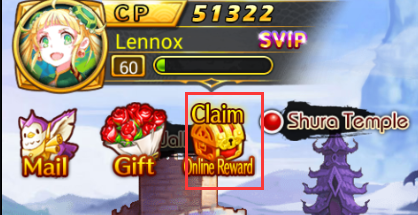 Click into Home page head icon at upper left corner, click gift redeem. 8. Is the game able to rename? The game name is not allowed to change. 9. How to check your own ID? Click into Home page head icon at upper left corner, ID is there. 10. What to do if the connection error happens during gameplay? Check network status, please ensure to connect under WIFI area, close the game, re-enter again. 11. Can the campaigns resurrection? Campaigns are not resurrect able, but fail in the astronomic game mode and etc, can revive with minor ingots. 12. What is the purpose of energy? Relic Shrine and Astronomy game mode will need to consume energy. 13. 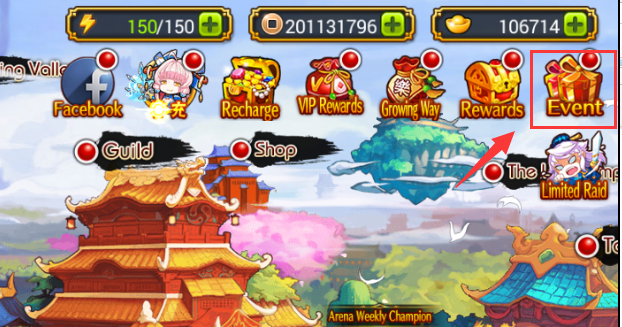 What is the daily time of settlement for arena? We settle every 9pm daily. Only ‘Yellow Turban Rebellion’ is available for current version, join the game to get huge resource rewards, settlement will be 6pm daily. 1. Does the game have free ingots? Login rewards, battle stars reward, arena ranking rewards in events got huge amount of ingots. 2. How to get coin? Coin can collect through normal battle, online rewards, event rewards, Money Tree. 3. What does it content in Online Giftpack? It contents big amount of coins, EXP items, Weapon chest and many more! 4. How to obtain usual item in game? Not only variety of game mode; you may purchase with coins and ingots in marketplace too. 5. 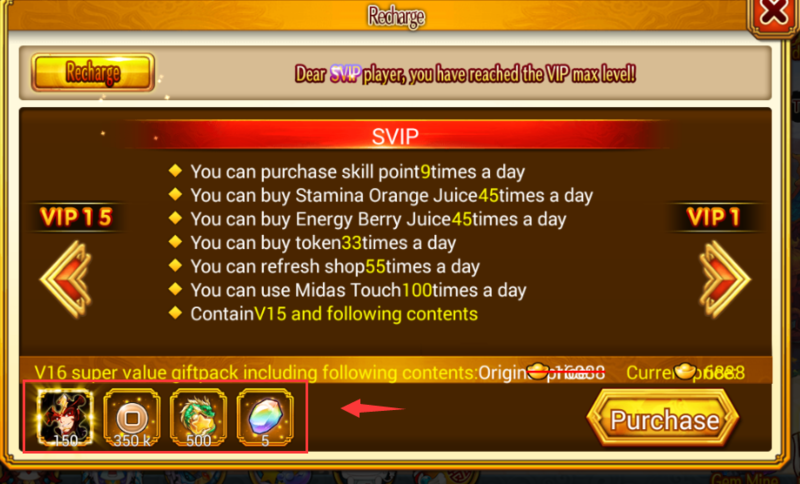 Do there have VIP giftpack in game? Simply click to home page top=up icon to enter the correspondence page, then click Privilege and you may see top-up giftpack content at screen bottom to proceed purchase. 6. What is the candy world, mechanic maze, revelation city in Marketplace? Candy world and mechanic maze are both limited time scene, it is purchase for changing home page scene, and revelation city is game original home page. 7. Marketplace limited time item must wait for system refresh? No need, player can use refresh token to refresh on their own, the refresh token can obtain from games and events. 1. How to increase level rapidly? First time to finish the whole campaign will get big amount of EXP, Token purge can get lots of EXP, and use token purge until advance stages is the fastest way of increase level. 2. How to get token? Token may recover token every 30 minutes, can purchase directly with some ingots, Purchase counts are limited by VIP level. 3. Any other way to get EXP faster? Once Shura Temple unlocked, Heroes Combat mode will provide huge EXP for lead role. 4. What is the purpose of Stamina? Consume stamina to get EXP, EXP receive will depend on lead role, due to not multiplying rare concept, so it may not have much as token receive rate. 5. How to gain more extra stamina? 1 stamina will recover every 5 minutes, and player can redeem lunch, dinner, supper daily, and can use ingots to purchase stamina items. 6. Stamina and token can be over limit quota? The limit of stamina and token is 150 & 24, we can bought it through purchase or level up rewards and etc. to break the limit, but the limit will not change, once quota has over it will never recover. 1. How to obtain lead role equipment? Lead role gears can be obtain through stage clear, normal boss will give even better gears and some of it will comes with attribute contented. 2. What is the meaning of wash the equipment? Through washing your equipment, you can transfer your attribute to current equipment, to increase player’s CP. 3. How to get lead role’s accessories? Accessories are not changeable, you can increase your attribute through level up, and level up material can get from campaign stages. 4. What is the purpose of Title? 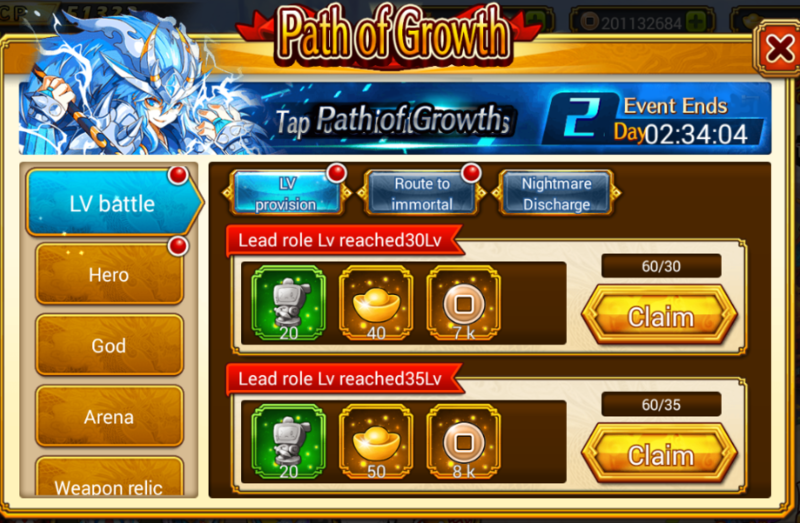 Title can increase lead role attribute, using donate a present to increase heroism, certain title will unlock when player has reach certain heroism. Relic can use for lead role private weapon, and increase attribute, and also add-in variety effect and additional skill in battle, can obtain from relic shrine. Shikigami gives lead role power transform ability, and provide extra attributes, shikigami can be cultivated. Barrack is embranchment mode, can provide lead role a lot of additional attribute, and it is key to unlock advance shikigami. 1. How to unlock shikigami? Barrack recruit until certain level will unlock shikigami. 2. How to upgrade shikigami? Shikigami can upgrade through star level up and improve upgrade, all item drop in Hard stages, or purchase from marketplace. 3. How to setup shikigami? 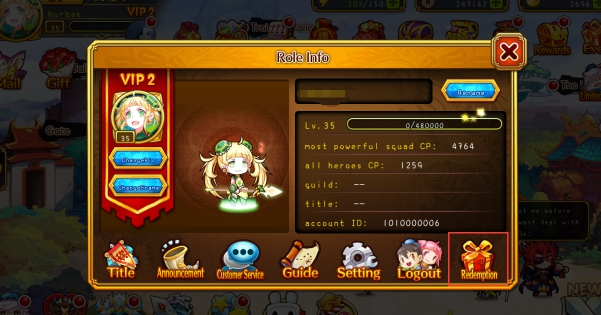 Enter shikigami interface will find a setting options, can setup 3 frequent used shikigami, when you got a lot of shikigami, you can choose desired shikigami to release skill by sequence. Every shikigami can release only once in each battle. 4. What is the purpose of army provision? Army provision is use for barrack recruitment, and use to increase resource for CP upgrade. 5. How to obtain army provision? Clear hard stage for the first time will receive big amount of army provision, Shura Temple’s army provision event is available too. 1. How to play astrology? Astrology will randomly refresh the enemies; they may drop a variety Hero Jade for players to decide whether to attack them. 2. What is Hero Jade used for? Hero Jade will provide great amount of HP and attack for the heroes. 3. Is there any other ways to obtain Hero Jade? Hero Jades might be refreshed in the shop for limited time, or you can exchanged the hero jade required by using soul through the exchange function of astrology. 1. What does the level of Heroes related to? The heroes’ level cannot exceed main role’s level. 2. How to obtain Hero? 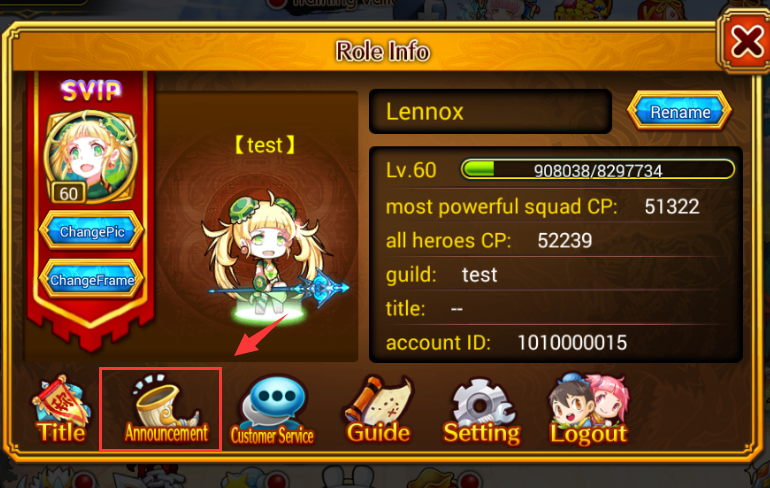 Hero can be obtained through: Tavern, online rewards, event rewards, shards purchased from shop or shards dropped from clearing stage. 3. How to evolve the Heroes? You can evolve the hero by consuming same Hero Token, coins, or dragon stone. 4. How to upgrade the Heroes? You can upgrade the hero by consuming same Hero Token, coins, dragon stone, and various scrolls of heaven, earth and human. 5. How to level up the Heroes? Stage cleared can gain small amount of Hero’s EXP, while others EXP items can increase the level rapidly with vast amount of EXP. 6. How to unlock the Heroes’ skills? Once the heroes are upgraded, the ultimate and special skills will be unlocked, while ougi would require relevant Hero out to battle. 7. How to unlock the Heroes’ innate skill? Heroes’ innate skill will automatically unlock upon a certain stage when the hero evolved and evolvement of awaken. Practice can allow the points gained from the advancement of Hero to be added freely on the Hero’s attributes. 9. What is Bodhi of nihility used for? It is a rare drop from Relic Temple. It can be used to exchange Hero potential points at the hero “practice”. 10. How to deal with those excessive useless Heroes? You can salvage them in the furnace of blacksmith to get the soul. It can be used to buy other material at the limited time shop. 1. What items that hero can equip? Hero can equip weapons and treasures, while treasure requires hero to upgrade to Purple. 2. What is mastery level? The higher is your mastery level, the higher will be the DEX and DMG of the treasures, and currently highest would be A level. 3. How to enhance the mastery level? Every 1 attack by hero will gain 1 point for mastery level. 4. Will the mastery level restore back to 0 if weapons changed? No, it won’t. Mastery level is bound to the Hero themselves, hence will not re-accumulate when weapon is changed. 5. How to distinguish quality of the weapons and treasures? In accordance with increasing order quality of blue-purple-orange, and among the same quality weapons, the higher the grade is, the better is the capability. 6. How to obtain weapons? You can obtain weapons from various methods, events rewards, and tavern treasure hunt. Or you purchase shards using special currency or ingots and shards dropped from a cleared stage to combine it. 7. How to obtain treasures? You can obtain treasures from various methods, events rewards, and tavern treasure hunt. Or you purchase it using special currency. 8. Can weapons be enhanced? Yes, it can. Either through enhancement or refinement. The material required are coins and weapons refine stones. These stones can be bought at weapons warehouse. 9. Can treasure be enhanced? Yes, it can. Either through enhancement or refinement. Enhancement can use treasure EXP items or honor treasures, and coins. While refinement will use Treasure refine stones and coins. These stones can be bought at weapons warehouse. 10. What is alloy used for? It can be used to exchange blue and purple equipment in the weapon warehouse. 11. Where does alloy come from? 12. Where to salvage the unnecessary weapons? It can be salvage in the furnace of blacksmith. Besides retaining the weapons or treasures, you can also use casting function to recover the material spent. 1. How to obtain relic? Join Relic Temple and stand a chance to get Purple or even Orange relic. 2. What is Relic used for? Relic is capable of greatly increasing player's CP. And different relics grant distinct skills which will be able to turn the tide of battle. 3. Will enhancement of relic fail? The upgrades of Relic+5 onward have chance to fail or downgrade. Nuwa Stone can be used to prevent downgrade on Relic+9 onwards. 4. What is Holy Jade used for? Holy Jade is a compulsory material to upgrade relics. 5. What to do when there’s insufficient Holy Metal? Ingots can be used as the substitue of insufficient Divine Alloy. 6. What is Holy Jade used for? The upper tier materials needed for relic upgrade can be found in Relic Temple drops. You can also acquire them by dismantling Orange relics. 7. How to obtain Nuwa Stone? From Advance Relic Temple drops. 8. What is Gem used for? Gems can be embedded on relics for additional effects and CP boost. 1. How to release anger skill? Attacks and kills will fill up the Fury Gauge. Tap when fully filled up to cast Fury Attack. 2. How to use Crystal? During battle, 4 type of crystals, namely red, blue, yellow, and chroma will be randomly generated. The crystals are compulsory material for Ougi and ultimate skills. The chroma crystal can be used as any type of the other 3 crystals. 3. Why does the anger skill is unable to use sometimes, and no icon appear during battle? The deployed hero does not fulfill the condition. The fury attack can only be activated once all red, blue, and yellow crystal are gathered. The crystal status can be checked on the preparation interface. 1. What are 3-stars for stage used for? First of all, only when the stage is cleared with 3-star can activate function to use purge, and if you want to claim the chapter’s stars rewards, you are required to clear all with 3-stars. 2. How to unlock Hard stage? When all the normal stages are cleared with 3-stars will unlock the Hard stage. 3. How to unlock hidden stage? When all the Hard stages of all chapters all cleared with 3-stars will unlock the ultimate hidden stage. 1. How does the guild upgrades? 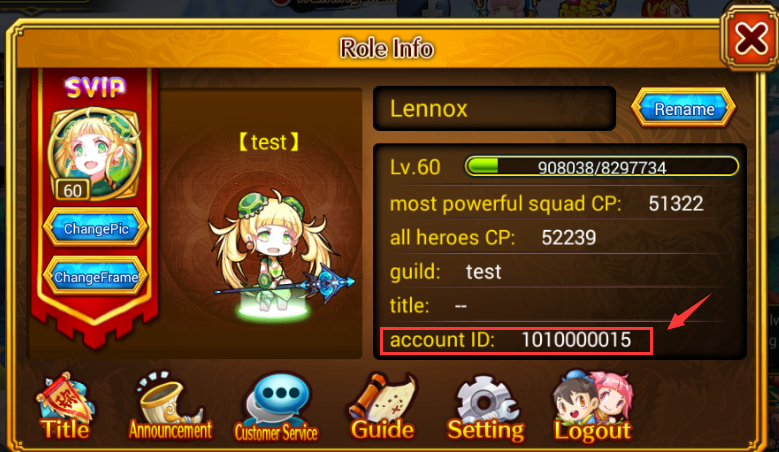 Guilds also have its own EXP and level, once EXP is reached then it can be upgraded. 2. 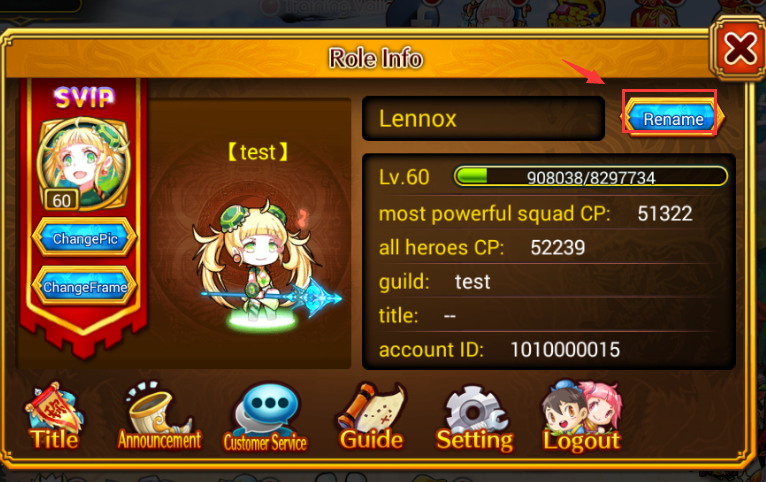 How to check Guild’s message? 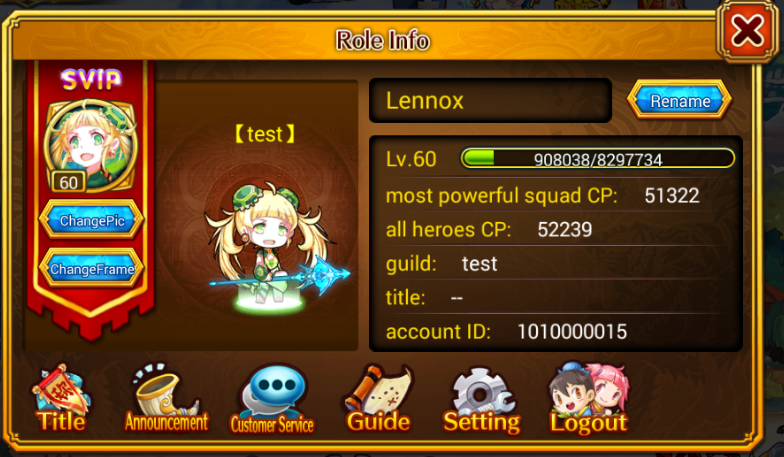 You can click on the left side of the scene after entering the guild. 3. How to play ShenNong? The more Lu Bu portrait collected in ShenNong, the more lucrative reward can be gained. It also gives more EXP to the guild and more contribution points to the players. 1. How to add a buddy? You can add buddy through the World Chat interface or search buddy interface. You can increase your friends’ fame by giving out different gifts, at the same time you can get stamina rewards. 3. What is toss eggs? Toss eggs can greatly reduce the other party’s fame, and in severe cases might cause them to be temporarily banned in the world chat channel. 4. What is Fame used for? Fame determines the ranking in the Weekly Fame, the higher ranking obtained, the more lucrative rewards will be given, and even with the chances of getting God. 1. Is the enemy in training valley a player? Yes, it can be said that the enemies are all mirror- image of the players’ teams. Only a few cases would be NPC forces. 2. What is the combat mechanism of the training valley? Players can choose 4 among all heroes with Lv20 or above for battle. The HP and other status of all heroes in battle will be carried forward to he next battle. 3. Can the hero fight in the next battle after death? No, it can’t. It can revive in the next stage only under the circumstances when the role has won the battle yet death. 4. Why do some of the stages do not give Quartermaster points? It is not given after every victory stage, but every 3 stages with the special chest that will reward quartermaster points. 5. What are the rewards can be obtained from training valley? Silver Chest and Gold Chest may have a variety of rare and scarce resources, and even may appear a complete Hero. Hence remember to join the training valley event after the reset after 5 am everyday. Gatcha is a new technology that combines the phone’s camera function to provide a benefit for players. Currently, you can scan pictures everyday, and if lucky enough you can obtain Hero’s shards and other rewards. In future, this technology will be focused to develop more interesting new features, so stay tuned! 2. How to use Gatcha? Click on “Gatcha” to open your camera, and select 1 picture to scan. Gold Chest will be hidden in one of the hero pictures, hence the correct scan will open the chest to get rewards.